1776  The will of Gabriel Marion notes his ownership of Walnut Grove Plantation (2, p. 277). 1939  The Walnut Grove Plantation house survived the flooding caused by the Santee-Cooper Project, but the fertile farmland disappeared under the red muddy waters. 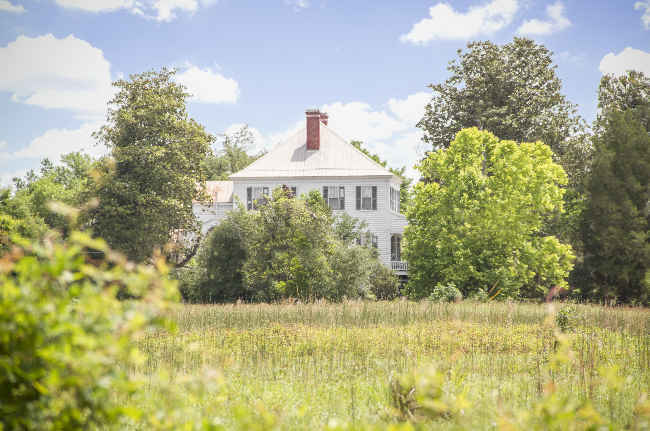 2015  The plantation was for sale with an asking price of $2,500.000. This is the first time it had been on the market as Walnut Grove has been owned by the same family since 1881 (3).